With over 125 years of experience in the lifting industry, Handicare has learned to listen to the customer and design systems that integrate beautifully and functionally into the home. Lift & Accessibility Solutions is pleased to offer the wide range of stair lifts offered by Handicare. The Simplicity – a safe, reliable and practical solution for a straight stair case. 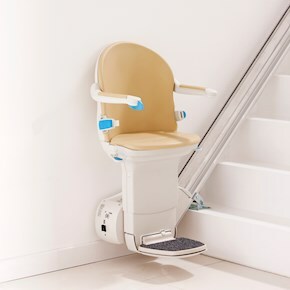 Simplicity Plus – upgraded straight stair lift with choice of seats, color options, and powered options. 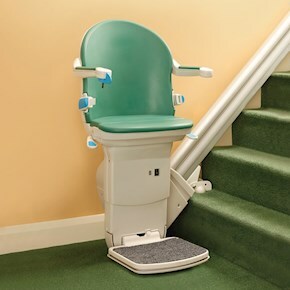 Handicare 1000 – narrow straight stair lift for indoors or outdoors with choice of two seats, six colors, powered options and optional weight capacity to 440 pounds. 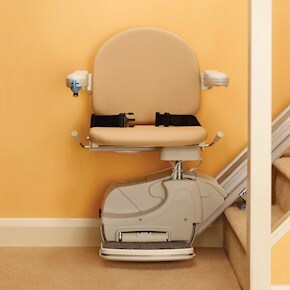 Handicare 2000 can be installed on either side of the stairs, inside or outside.